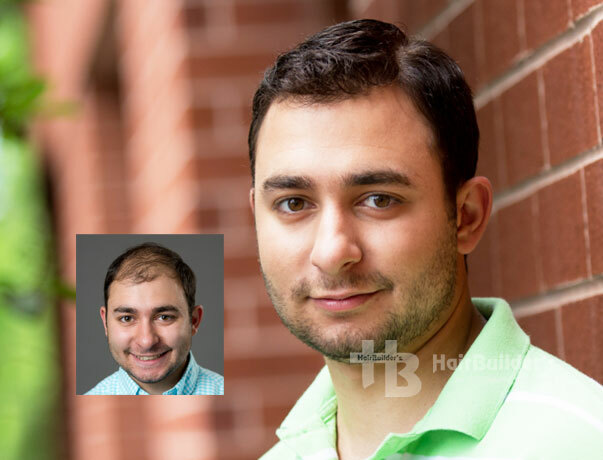 HairBuilders is a leading provider of the latest and most effective hair restoration and hair loss treatment solutions for men suffering from hair loss and thinning hair. Beautiful hair replacement and hair loss treatment solutions for women suffering from alopecia, thinning hair, trichotillomania, & medically related hair loss. Low level laser hair loss treatment is a safe, effective, and FDA-approved treatment to stop the progression of hair loss and regain fullness & volume. Women come to HairBuilders of Vermont with all types and degrees of hair loss and thinning hair, and they are looking for answers. For some of our clients with minor hair loss or who are beginning to show signs of thinning, hair extensions and toppers made from 100% natural human hair offer a perfect solution to add more length, body, and coverage. Integrated perfectly with your own existing hair, now you can achieve the look, volume, and fulness you want with a completely natural and undetectable look and feel. 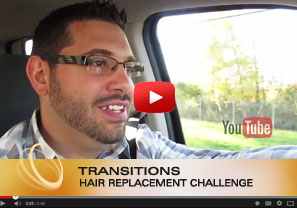 Are you tired of dealing with thinning hair? Schedule a free, private, one-on-one consultation today and see how easy it is to have the amazing, beautiful hair you deserve. You Don’t Have to Accept Your Hair Loss! 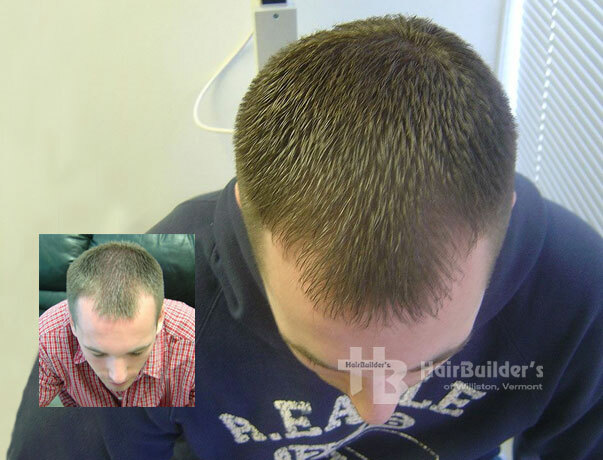 HairBuilders offers the latest in non-surgical hair replacement systems for hair loss, baldness and chemotherapy. From our exclusive, discreet location in Burlington – Williston, Vermont, we offer the latest breakthrough technology in non-surgical hair replacement and hair restoration as well as state of the art hair loss treatment and prevention programs for men and women with all hair types. We offer the the very latest techniques in in totally natural men’s and women’s hair loss solutions, including non-surgical hair restoration and replacement, hair loss prevention programs, and laser hair therapy. With over 30 years experience, we have the experience to address every type of hair loss. Our hair loss professionals will work personally with you to help you identify the best hair loss solution for your specific type of hair loss and life style. Take the first step to a new you. Schedule your free, private hair loss evaluation today and see how easy it is to be yourself again! There is no obligation whatever. With hair restoration, there are lots of options to consider but only one phone call you need to make. Call (802) 878-8400 to make an appointment and see just how much you have to gain. Find the Hair Loss Solution That’s Right for You. Meet with a HairBuilders hair restoration specialist and get answers to all your hair loss questions and concerns. Order HairBuilders specially formulated hair loss prevention and hair care products. 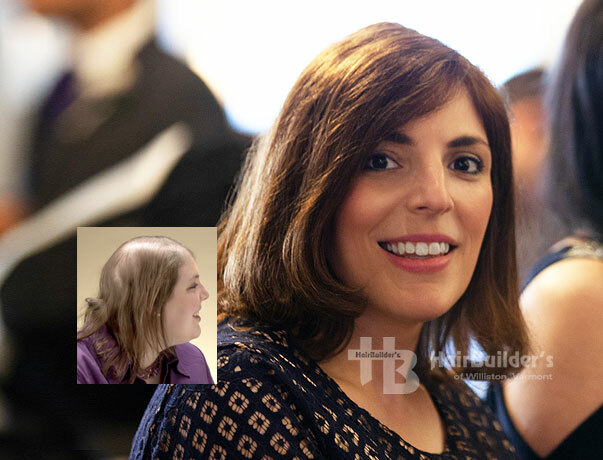 HairBuilder's in Williston Vermont has been helping men and women with thinning hair and hair loss in the Burlington Vermont and New England area for over 30 years. At HairBuilder's, our caring, professional staff will work one-on-one with you to find the perfect hair loss solution for you.